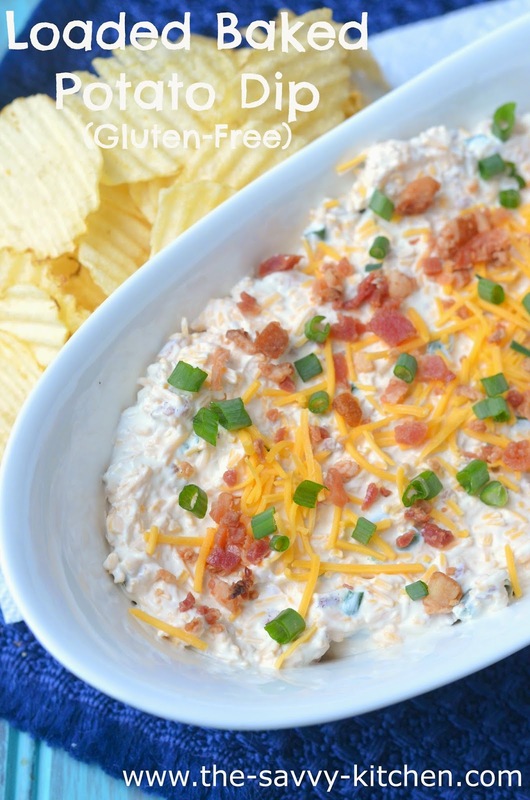 I first had this dip at my friend's housewarming party, and I couldn't wait for an occasion to make it on my own. Chris and I literally stood around this dip the whole party and ate half of it. We probably would have eaten the whole thing, except we had Bradley with us and had to leave early. Oh, and we didn't really think it was "polite" to eat the whole thing. I totally would have if it was socially acceptable, though. 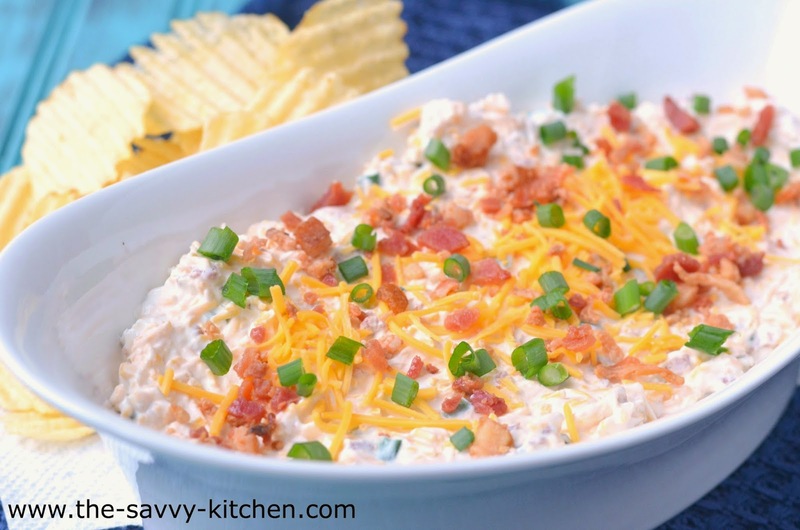 This dip doesn't contain any potatoes, but it takes the toppings that make a Loaded Baked Potato a Loaded Baked Potato and throws them into one concoction in the form of a dip. 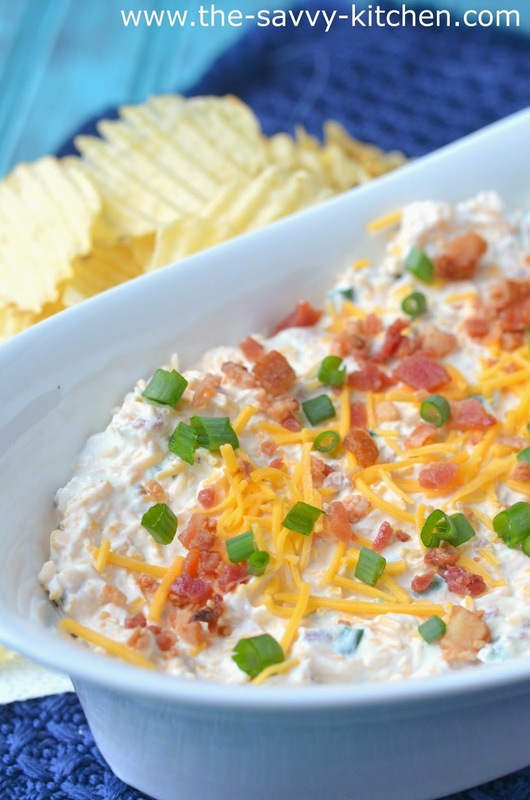 Sour cream, cheese, scallions and bacon are all you need to make the most delicious dip ever. This literally comes together in five minutes and everyone will rave over it. Enjoy! Stir together bacon crumbles, sour cream, cheese, scallions and hot sauce (if using). Cover and chill 1 to 24 hours before serving. Garnish, if desired. Serve with chips. Store leftovers in refrigerator up to 7 days.